Good morning! It’s bright and early, and I feel cozy and blessed in a warm house, with a cup of coffee. There’s a nip in the air outside. Autumn has finally arrived in southern Illinois. This is Gloria’s mom, by the way. I am filling in for her this week, but she will return next week. I was privileged to help out at three different homes this week, which is unusual for a grandma my age (50ish plus). Usually, it’s the young girls who would be needed for that amount of time as a maid (maud). 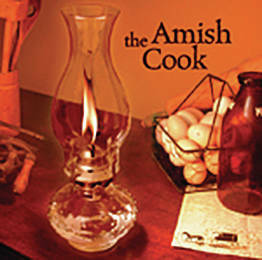 (Editor’s Note: It’s not uncommon for an Amish mom to have a “maid,” someone who helps with dishes, mending, cooking, etc. The word “maid” doesn’t have the same upscale connotation as it does among the nonAmish; instead maid is a translation of the Pennsylvania Dutch word “maud.”). It was a beneficial, enjoyable time for me. I am still gleaning tips from other moms, even if they are younger than I. My husband, David, and I still have three daughters at home, ages 20, 17 and 12. We have four children who are married, and 11 — almost 12 — grandchildren. The first home I helped out was in Worthington, Indiana, at the home of Aaron and Mada Yoder. Mada is our niece. I was there for three days. Their 13-year-old daughter, Dorcas, was born as a preemie (1 pound, 8 ounces) and her twin sister, Doloras, went to be with Jesus when she was three days old. Dorcas is in a wheelchair, and eight weeks ago, she underwent a 10-hour surgery, which is supposed to help her from becoming more and more stiff and “drawn together.” Hopefully, she will also be able to walk with a walker. But for now, she needs intense therapy for hours daily. This week, Linda Bontrager, of Michigan, is there to get therapy training. So while Mada was assisting Linda, I kept their homefires burning by doing laundry, cooking and sewing. Each home that I helped out this week had positive things that stood out to me. One thing that I noticed at Mada’s house was her efficiency. With all her other responsibilities with Dorcas and her other two daughters, Esther, 10, and Annika, 5 (Pennsylvania Dutch version of Anna), she has learned to plan ahead. Dorcas is also being homeschooled this year. Linda taught school for six years, so I wouldn’t be surprised if she’d help out with that, too. Mada’s scheduled days keep the household running smoothly. Yesterday, I was at Gloria’s house. Usually when I walk in the door, there is a happy clamor of children. Yesterday was no exception with the two little boys, Jesse and Elijah, crawling towards me side by side when I arrived. They are both so cute! They don’t look anything alike, but both have the nicest blue eyes. Rayni is mixing Pennsylvania Dutch and English together, which makes for some very unique sentence structure sometimes. Julia was at school, and Austin is so happy to have bedsheets with Thomas the Train on them that he got this week. Gloria and I chatted awhile, and then I washed off the mini-surrey. Three cheers for three of the children, who got to be inside the surrey while I washed and scrubbed it. I sprayed water on it from the outside while they looked out from the windows on the inside. A positive thing that stands out to me from Daniel and Gloria’s is their absolute commitment to God, to one another and to their children, including the two foster children. Making memories isn’t just about “big trips” and outings; it is about special things on a daily basis, like spending quality time with a child. After eating lunch and doing dishes at Gloria’s home, I hopped on my bike and went to son Javin’s house, which is close to ours. Daughter-in-law Regina is almost at her due date, so that means a brand new grandchild for David and me soon, Lord willing! They have three sons so far. Will this be a girl? I love the way Regina makes me feel welcome when I come to their house, and I admire her housekeeping skills. I asked her if I could do some weekly cleaning for her. I noticed the house looked so lovely, so I asked if perhaps she had “nesting fever?” I didn’t have a lot of time there, but I did a little cleaning for her. A month ago, her Mom, brother, sister and some nieces and nephews came all the way from Allen County, Indiana, to work for Javin. The ladies did some deep cleaning of the house for Regina, washing walls, cleaning floors and windows. It was amazing! Love in action. Meanwhile, the boys helped Javin build a new office building. I want to share with you a recipe from Mada’s kitchen that I made while I was there. The stir-fry tastes great in warm tortillas with ranch dressing. You can add other vegetables, fresh green beans or tomatoes. It’s delicious! I used purple and green cabbage and red, green and orange peppers. Makes an attractive meal. Be sure not to overcook the veggies. Brown chicken breasts with onion in a large skillet. Push to the side of the skillet and then add cabbage and carrots and fry until carrots are slightly tender but not mushy. Next, add sliced pepper. Fry just a little and then add cooked rice and egg. Add salt as needed. Cook until chicken is cooked and the entire dish is heated through thoroughly.